The trailer to the movie made it seem like an extremely snappy and slick rom-com but it has in fact a lot more depth and meaning that slowly unravels as the movie progresses. The start up was quick and simple, and before long, Tim was a time travelling veteran, using his powers to master the art of rubbing sun cream on Charlotte's back or reliving his 'first time' with Mary. Where the movie suffocates a little is the looseness in handling the time travel mechanics. The rules that were laid out were very simple: only men can time travel, you can only travel backwards in time and you cannot travel back before you were born. When rules are clearly laid out, they should be followed, but yet the movie carelessly allows Tim to fly through space and time, even bringing his sister back and forth. Looking past these glaring flaws, there was a succinct level of light-hearted humour throughout. Tim's attempts to correct his mistakes were perhaps the most enjoyable moments, though surprisingly, Tim's romantic life was not the sole focus of the movie. Tim's relationship with his father was perhaps presented more poignantly. The two share a deep love for one another and the ideas of cherishing loved ones occur when even time travel cannot prolong their time together. At around two hours long, the movie was slightly dragged out, with a few rather unnecessary sub plots; it almost tries too hard to cram every sort of ill-mannered fate that could potentially occur for Tim to puzzle through and at times lacked focus. What is to praise is the overall message of the movie that is applicable to all. Despite not having the power to travel back in time, it doesn't mean we can't enjoy life like it's the second time we've lived it, cherishing every moment and enjoying the people and events that happen, good and bad. Many of my friends who have seen it have praised the movie for its message and are able to overlook the flaws. Also stars Tom Hollander, Lindsay Duncan, Margot Robbie and Lydia Wilson. 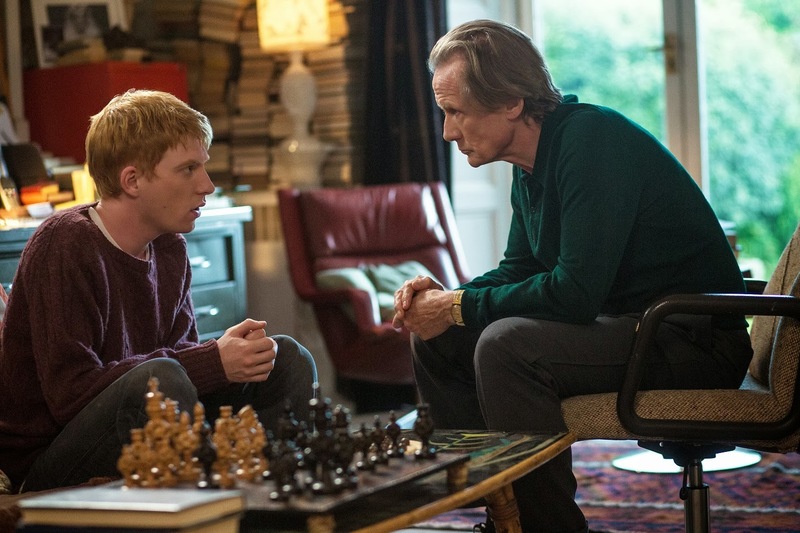 Domhnall Gleeson, most well known for being a Weasley brother in the Harry Potter series plays the awkward lead well and effectively manages to charm. Many compare his performance to that of a young Hugh Grant. Unfortunately, Rachel McAdams doesn't manage to shine beyond her initial entrance as the cute American on her first date. Several of McAdams' scenes remind us of her performances in 'The Notebook' and 'The Time Traveller's Wife', but I think it's time she take on more ambitious projects, which her recent film 'Passion' showed she could successfully pull off. 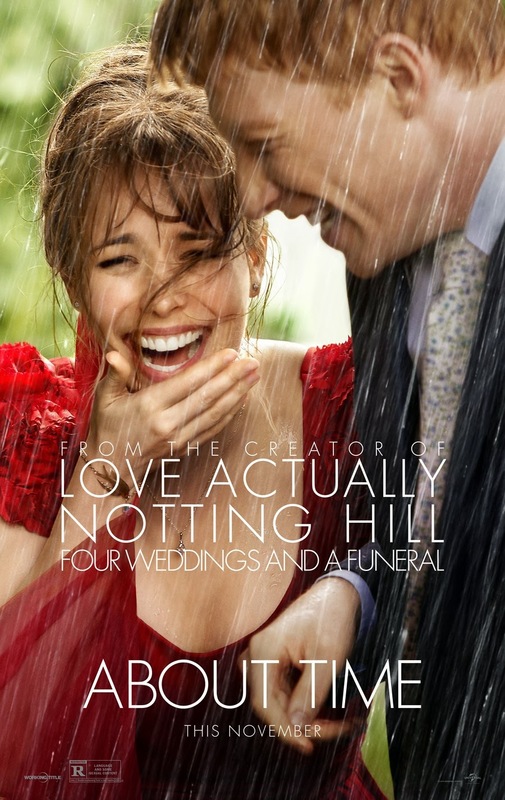 Directed by Richard Curtis (Love Actually), 'About Time' is an enjoyable British sci-fi romantic comedy with a surprisingly meaningful outcome. Though overlong and have glaring time travel plot homes, the movie is sweet and lighthearted, with a strong cast that will leave you contemplating life and wanting to really LIVE every moment.